SUNBURY – The impending opening of the new Northumberland County Prison has the county sheriff about to launch a crackdown on people who are wanted by the courts. 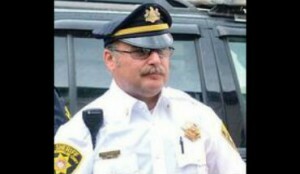 Northumberland County Sheriff Robert Wolfe this week announced a Bench Warrant Amnesty program. He says people with open or valid county bench warrants will have the opportunity to turn themselves into the sheriff’s office Monday, Wednesday, or Friday over the next two weeks. They have to be at the office by 9:15am. These people include anyone with court cost associated bench warrants, individuals wanted for criminal or domestic abuse bench warrants. Anyone who reports to the sheriff during this two-week period will then be scheduled to appear before a judge the day of turning themselves in and the issue may be resolved…if they wait, they could spend several days in the new jail awaiting a hearing.